Recently we were asked to carve a fabulous pair of Thomas Hope Greyhounds for Buscot Park in Oxfordshire. These were a very famous model which have been missing for many years. 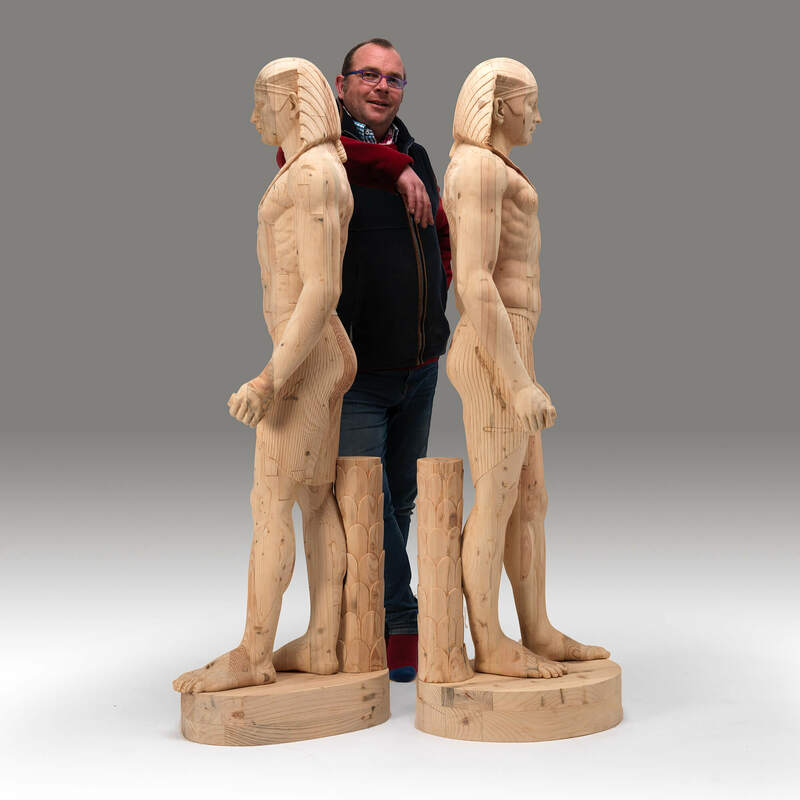 When they were finished I was so delighted that it led me to think about another famous missing item by Thomas Hope, a Life-size pair of Egyptian figures. When I visited Buscot Park Lord Faringdon very kindly gave me a fabulous personal tour and in the Park there were the most wonderful full size Egyptian Figures in Coade Stone and this had my mind racing. We took some pictures and made some drawings and hundreds of measurements and so the process began to make them in reclaimed old period Pine. We have now completed two pairs and I hope you will agree that they are absolutely fantastic. One Pair is off to Bangkok to our new shop and the other pair seem to have arrived at my own home! We are about to start on two more pairs one of which we are supplying to Buscot Park as a donation to sit with the other works by Thomas Hope. Thomas Hope (1769-1831) was the son of the wealthiest merchant in Europe. At the age of just 18 he embarked on his European Grand Tour which lasted an astonishing 10 years. He assembled an incredible collection which accompanied him to London in 1794 He housed this collection in the Duchess Street house in central London which he extended and remodelled. The house and interior fostered what became known as The Regency. A fascinating amalgam of decorative details, ornament and influences from Antiquity and British and Continental European art, architecture and design. It is our great pleasure to continue his work and embrace his passion.